Learn more about this innovative energy-saving system today by calling (760) 476-3419 x 508, or email an engineer directly at admin@chilldyne.com. The Chilldyne Cool-Flo® System is a direct-to-chip liquid cooling system that delivers coolant under negative pressure. 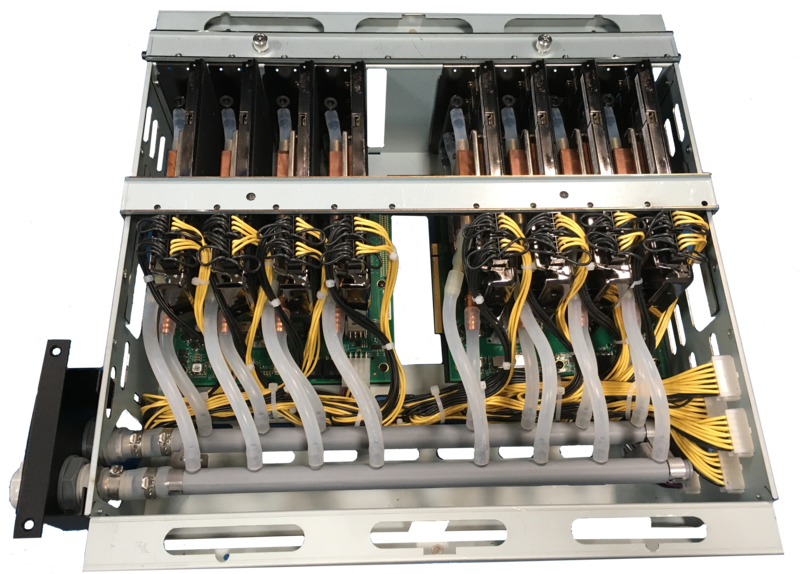 Chilldyne’s technologies were designed specifically to eliminate the risks associated with liquid cooling while keeping deployment and operating costs low. The Chilldyne system mitigates risk with its patented leak-proof design. The Chilldyne Cooling Distribution Unit (CDU) is a negative pressure system that uses liquid to cool up to 300kW of server heat. The Cooling Distribution Unit (CDU) can use cooling tower water at 15-30C (59-86F) to remove up to 300 kW of server heat (15C Rise). Its innovative design and energy efficiency allow for effective cooling of servers in high density applications. The CF-CDU15 is a packaged system with pre-installed software and web page based monitoring and controls . This provides flexibility in integration with your data center for a trial or a user laptop for demo. The software and user interface for the rack scale system is harmonized with Chilldyne’s Full-Scale System (FSS) for production data-center use. This allows users to familiarize themselves with the operation and control of the Full-Scale System before deploying it in a production environment. Our Cool-Flo system is compatible with all air-cooled systems. Conversion to liquid cooling is fairly easy and can be done quickly. Chilldyne has never encountered a server it could not convert to liquid cooling. Backup air-cooling capability can be retained if a hybrid air-liquid heat sink is used.